The lawsuit has since been re-filed with amendments, including those relating to the specific positions included in the class action, and Google’s common practice of using new hires’ previous salary when making an offer of employment, rather than ensuring a culture of equal and fair pay exists within the organization. In September last year, three female former employees of Google Inc. filed a class action against the internet giant, claiming there was a considerable gap between the salaries of men and women working at the company. On first attempt, the court granted Google’s motion to dismiss the suit, allowing the women a chance to amend the class action. The lawsuit has since been re-filed with amendments, including those relating to the specific positions included in the class action, and Google’s common practice of using new hires’ previous salary when making an offer of employment, rather than ensuring a culture of equal and fair pay exists within the organisation. This amended equal pay class action has now survived the pleading stage, and will continue to progress through the California legal system. Do You Have a Pasadena Employment Law Issue? As clearly illustrated by the Google Inc. equal pay class action, working for a global giant is no guarantee that your employment law rights will automatically be honored. 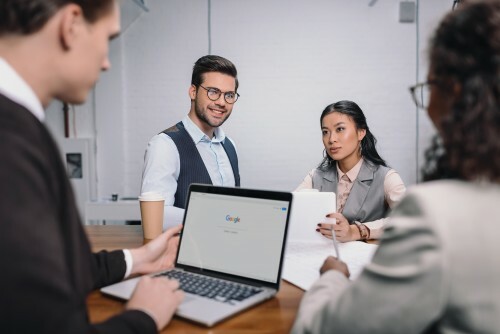 Whether you work for a small business with just one or two employees, or a corporation as large as Google, you may find yourself in need of the legal expertise of a highly-experienced Pasadena employment law attorney. Today Whatever the circumstances surrounding your employment law issue, it is in your best interests to act as quickly as possible. The employment law attorneys at Rager Law Firm are amongst the best in Pasadena, and California as a whole, and are passionate about securing the legal rights of employees just like you. You should be able to go to work, and do your job, without worrying about potential harassment, discrimination, or other unequal or unwelcome behavior. If this is not the case, you could benefit from our legal expertise. When your peace of mind at work has gone, it can have a detrimental effect on your ability to perform and complete your job to the high standards you are normally capable of. Do not wait until this has had the chance to impact on your livelihood – speak to a Pasadena employment law attorney immediately to find out how we could help you to put a stop to your employment law problems. Employment law can be a complex matter, and is definitely not one for the uninitiated to approach alone. Schedule your free consultation with an expert Pasadena employment law attorney today by calling us on 310-527-6994.